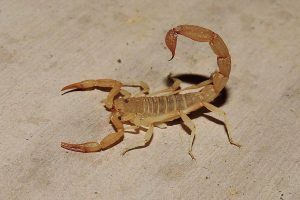 As locals to the Las Vegas Valley, Anver Pest Control experts have noticed a major influx to the scorpion population here over the years. Scorpions are not only venomous, but they can be difficult targets for many pest control companies due to their hard exoskeleton. 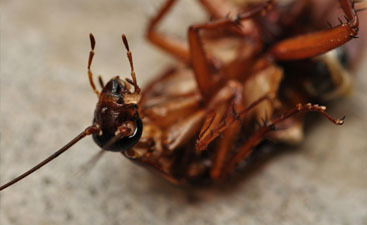 Here at Anver Pest Control, we haven’t let this stop us. Instead we’ve made scorpion services one of our specialties! 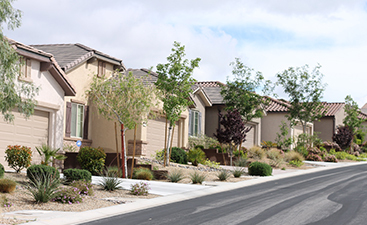 If you are seeing scorpions on your property contact us at 702-505-9928. 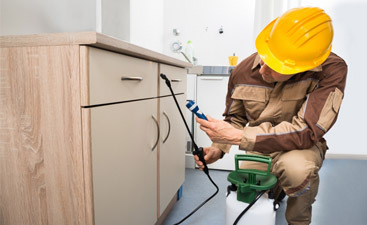 Our scorpion experts will assess your problem, and then create a scorpion service that is customized to the amount of scorpions you are seeing. Whether it’s one scorpion or many, you can feel confident that even your resistant scorpions will be defeated! Scorpions aren’t attracted to us, but they can be attracted to the shelters on our property. Why? Because these shelters help provide them with sources of moisture, foliage, and other small insects possibly in our landscape for feeding. Scorpions love to hide under our rocks, bark, wood, and piles of scraps around our yard. 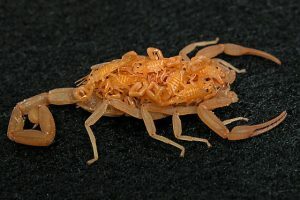 In order to lesson your scorpion population, a good start would be to decrease these piles of debris so there are less places for the scorpions to harbor.